A world-renowned musician will headline The Future of Jan, a Sunday night of jazz and funk with all-stars and rising stars. The 6 p.m. to 9:30 p.m. event at the Legacy Emanuel Hospital atrium, 501 N. Graham St., is a fundraiser for the jazz program at Beaverton Arts and Communication Magnet Academy. Performances include Fred Wesley, an exciting funk and jazz trombonist, formerly with James Brown, George Clinton, and the Parliament/Funkadelic and the Count; the Kenney Poison Project and Portland Jazz All-Stars. 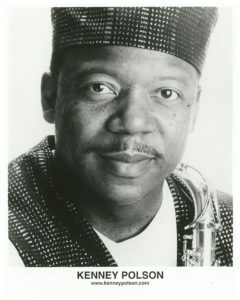 Polson, the smooth jazz saxophonist, has played in 35 countries with the likes of Little Richard, Phil Walker, James Brown and many, many more. Polson’s song “No More. Lonely Nights” reached the Top 40 Adult Contemporary New Music Weekly Chart in 2001. His band will soon release Serendipity, an album featuring many of Polson‘s famous friends. Polson, a Portland resident, has traveled nationwide to record “Serendipity” to collaborate with musicians such as Michael Henderson, Tom Grand, Fred Wesley, Roger Smith, Larry Gittens, Phil Upchurch. Bruce Come and members of WAR. Santana. Maio, The Isley Brothers, The Dazz Band, and Taj Mahal. The event doubles as a CD release party for the Kenney Poison Project. Kenny Poison will join a group of featured jazz performers In a beneﬁt for jazz education on Sunday, Nov.14 at 6 p.m. at the Legacy Emanuel Hospital Atrium.